The project ‘Lead the Way’ took place at the American Corner in Akhaltsikhe on April 20-21. 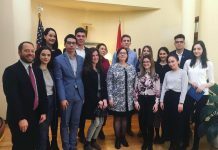 It was organized by Mariam Ghvamichava ’10 with the support of three FLEX alumni and a Peace Corps volunteer Ryan Nakao and brought together 19 local students. 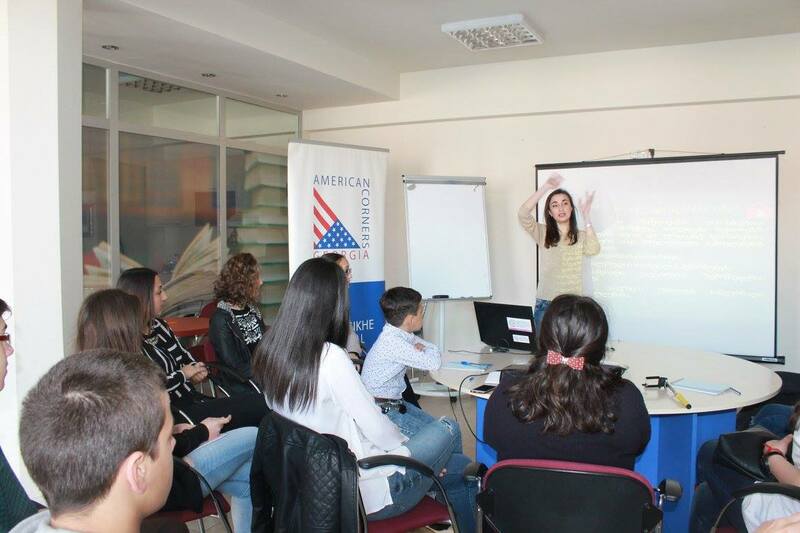 The free-of-cost venue for the event and social media coverage were provided by the American Corner in Akhaltsikhe and NGO Step Towards Success respectively. The main topics of the training were active citizenship, leadership, volunteering, and first aid. 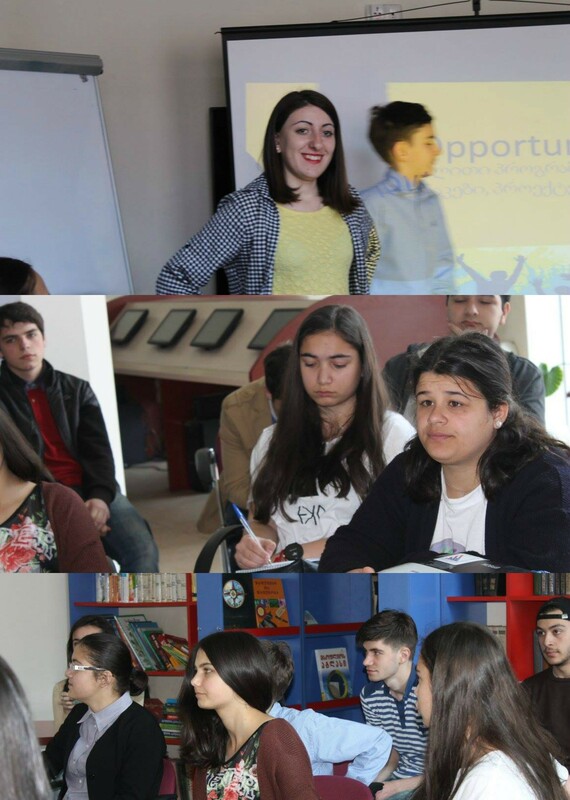 The participants were taught the basics of project management and were encouraged to come up with their own project ideas. They also learned about various volunteering opportunities in their community. 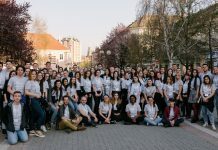 ‘The participants were eager to find out how to become active citizens and through this project we showed them how to put their ideas into practice and lead the way,’ says Mariam. 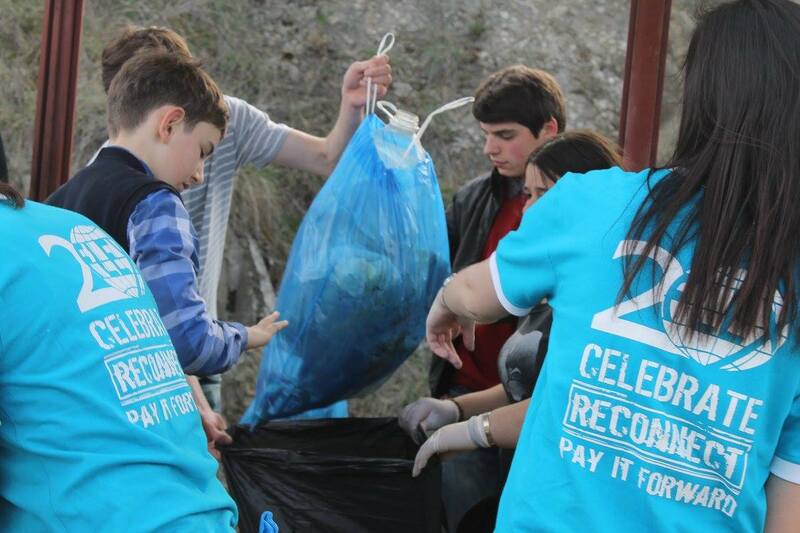 After the theoretical part the students and organizers joined forces to clean up the nearby Uraveli Valley. ‘Initially we planned to clean up the area of the Saphara Monastery but we couldn’t get there because of road construction. 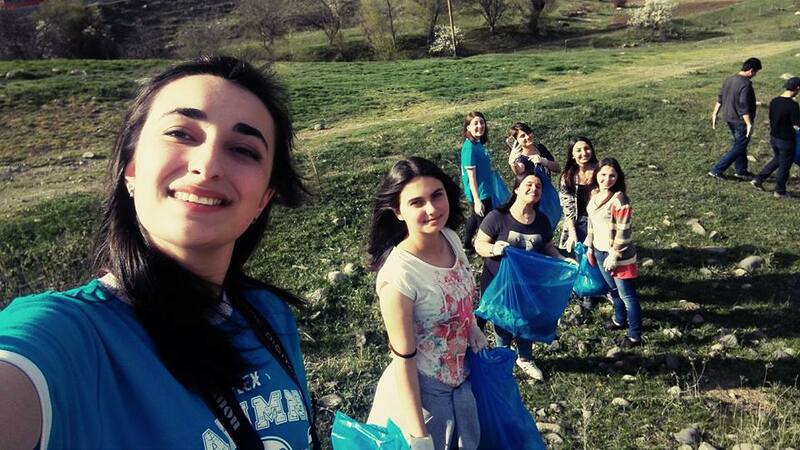 The participants suggested going to the Uraveli Valley, which had a lot of trash too, and within minutes we were back on track with our schedule,’ shares Mariam. 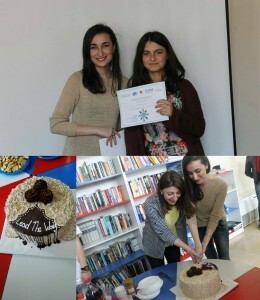 Upon their return to Akhaltsikhe the participants received participation certificates and shared a project-themed cake with the organizers. 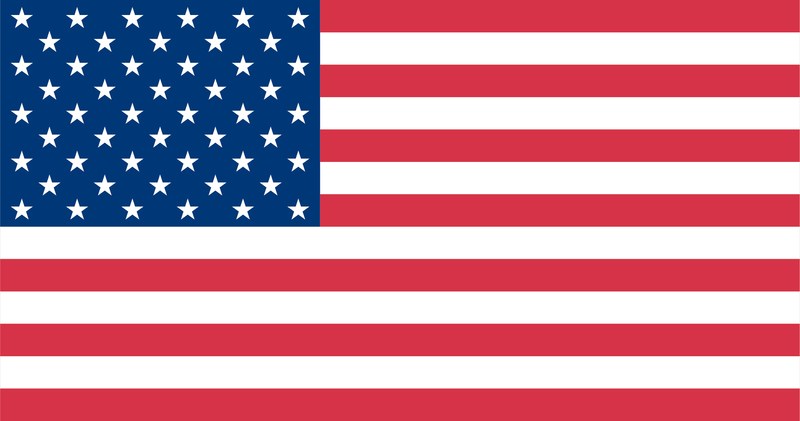 The students are planning to promote the values of active citizenship and community service in their schools and some of them have already started their own projects. 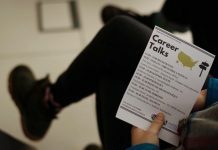 More information and photos from ‘Lead the Way’ can be found on Facebook and YouTube.